Life on the Selvage Edge: Scrappy Explosion! Wow... a lot has happened since I last posted! January was a blur of traveling with family and then for work. And honestly, what happened to February?! I swear it just started! 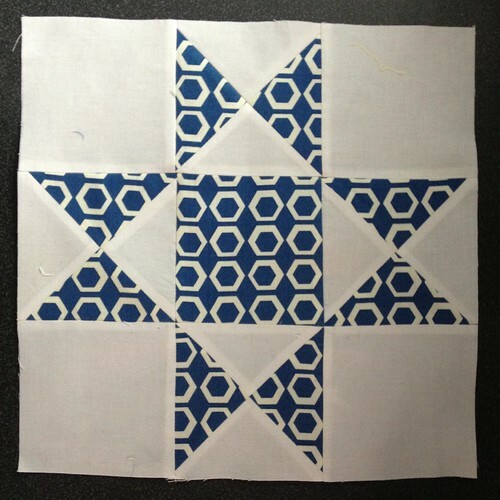 Next, I jumped on the instagram quilting sensation... the Scrappy Trip Along! How does a 9 year old have such specific quilting requests?! The Scrappy Trip Along seemed to be the right fit for him! There's always a furry helper when I'm doing layouts! And here's the boy all snuggled up on the first night he got it, which happened to be a -20° that night. Perfect timing! He has used this every night, dragging it to my parents when he's stayed with them, and it often found on the couch as well! I'm glad it is getting lots of love! Then it was time to finish up some UFOs that have been hanging around for far too long! We had another crafting weekend at the church I work at. 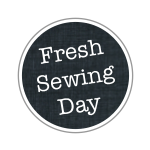 It's such a great time to hang out with a fun group of women while we sew/bead/scrapbook our Friday and Saturday away! 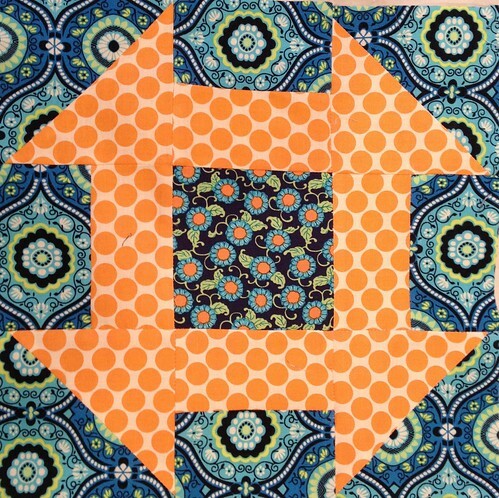 I made a mini quilt using half square triangles out of blocks I've had sitting around for along time. I couldn't bear to cut off the points and I was feeling to lazy to do setting triangles so I left the irregular edges. However, I'm glad I didn't realize how long it would take me to bind the edges like this when I started out on this route because setting triangles would have been WAY easier! A ton of work doing the inside angles, but I love how it looks! Its new home is over the back of a chair in my office. So bright and cheery and fun! Yesterday was quite productive day... I love Mondays: my day off and I'm home by myself! Love my family and being with them, but I also enjoy my Mondays of being home alone from 7:30am-4pm. My time to recharge my batteries, quilt, clean, etc. I got the house picked up some and also made it to the gym for a workout. And I quilted and came up with a BIG finish.... My Scrap Vomit quilt top is done! 49 blocks that are made up of 49 squares. 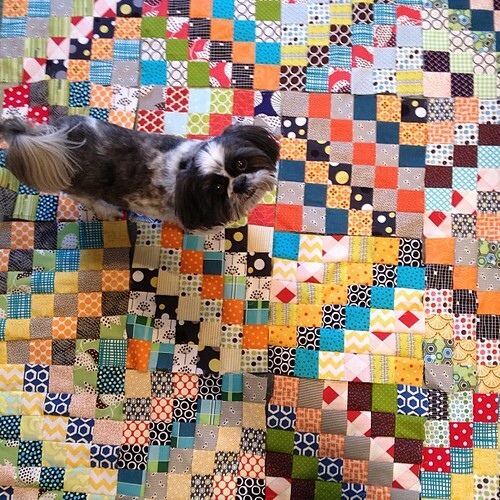 2,401 2.5" squares later, we are well on our way to having a king size quilt on our bed! Next up, the attempt to quilt it on my home machine! It sort of gives me frights to think about, but I'm going to forge ahead! 2013 is off to a good start! 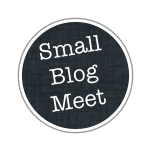 I love all your scrappy fun but really love your scrap vomit. It is fabulous. 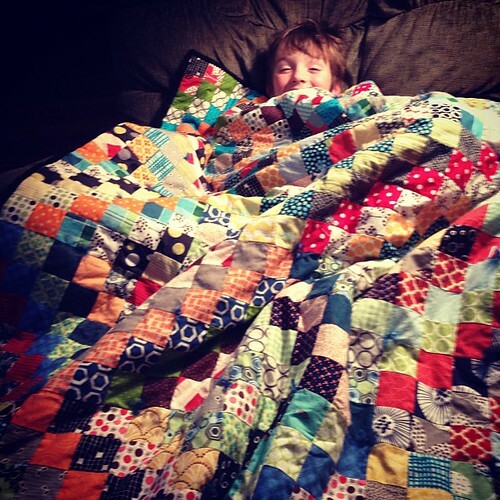 I love your scrappy quilts. 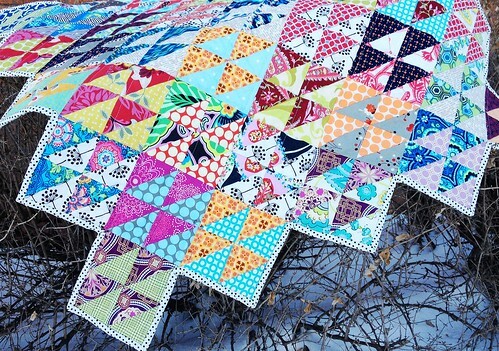 So pretty, and that is a huge quilt to do on your home machine. 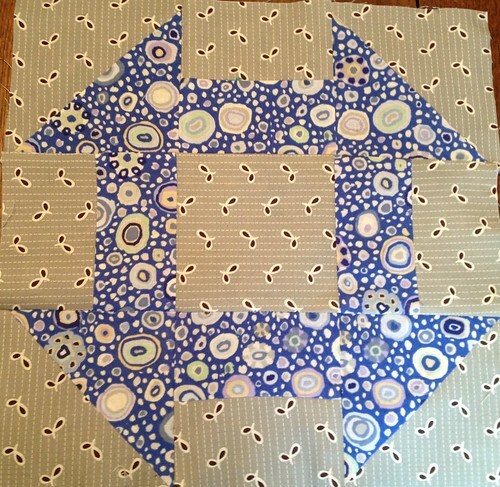 I'm feeling energized to try and start doing more of my own quilting at home but I haven't gotten there yet. I use the long arm a lot but I think I want to try and find one I can rent or else start doing more at home. 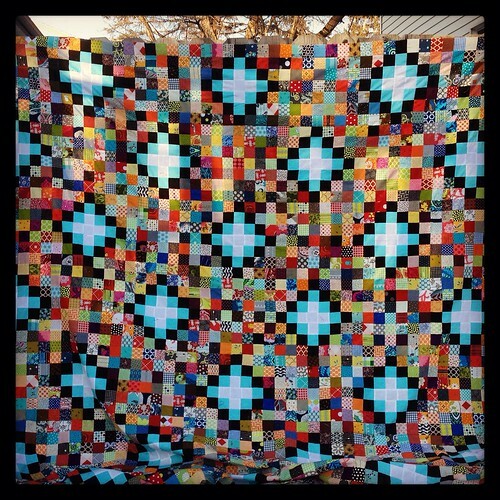 I love some long arm quilting but its so expensive.